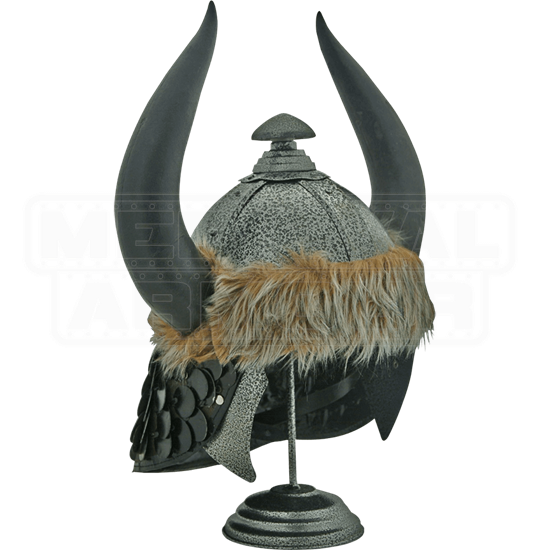 The barbarian hordes are no strangers to using fear as a weapon, and this Barbarians Horned Helmet demonstrates that, utilizing great horns to enhance look of this head-protector so that it made its wearer that much more intimidating when in battle. This helmet is masterfully crafted, being made from high carbon steel and featuring a unique array of features, as well as a distinctive finish that gives the helmet a spotted look. A band of faux fur wraps around the edge of the helmet, while black leather scales adorn the back of the helm as extra detailing and added protection. The helmets most striking feature is the pair of black horns that extend from either side, just above the cheek protectors. The helmet is reinforced with bands across the skull, and capped with a small knob design at the top. The helmet is full-sized and it comes complete with a matching stand, for ease of display. 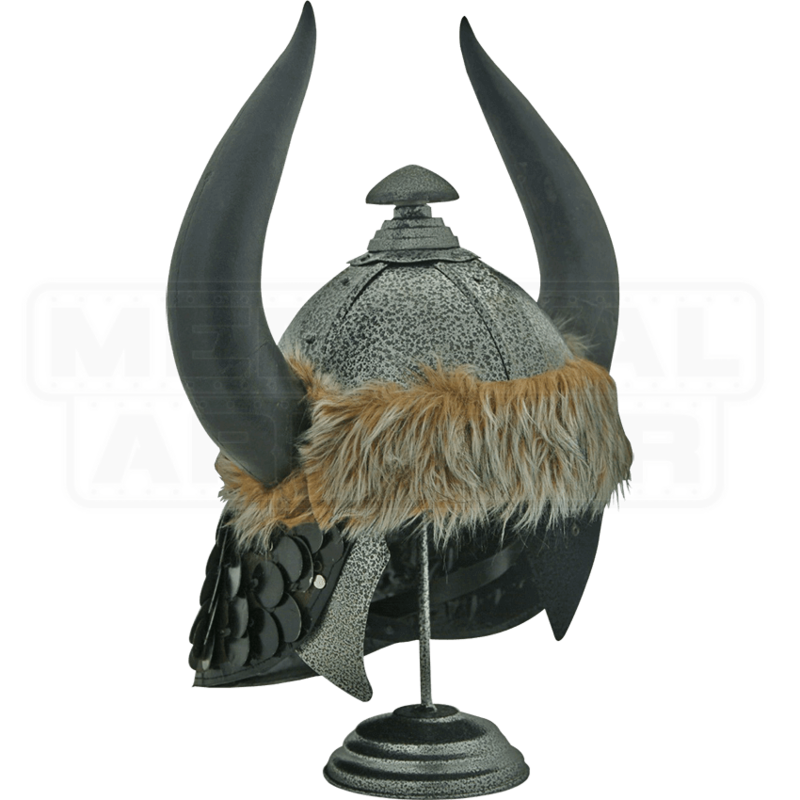 Distinctive of fantasy Viking style or true barbarian detailing, this Barbarian Horned Helmet makes for a great addition to any collection, where it will show off the impressive style of the greatest of the barbarian warriors.